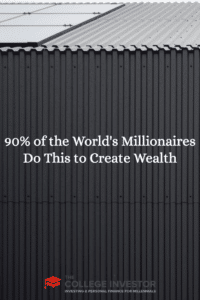 Over the last two centuries, about 90 percent of the world’s millionaires have been created by investing in real estate. For the average investor, real estate offers the best way to develop significant wealth. As with any and all forms of investing, it is best to get started early with real estate so you can put time on your side. A good way to begin is to buy your first primary residence. That is where you will live. Since you’ll be living there (and be the borrower), you can generally buy a home with about 5 percent down at a low interest rate. By contrast, an investment property requires at least 20 percent down and typically comes with a higher interest rate on the mortgage. There is less of a chance of a borrower defaulting on their mortgage for their home than for an investment unit, so lenders require less money down and offer better terms. From here the objective is to continually buy properties as a primary residence, move in, live in them, and then rent them to suitable tenants when you are ready to buy the next one. After it has been rented, the next primary residence can be purchased. From there, the cycle starts all over again. At present, an individual can have a maximum of 10 mortgages in their name. Nine rental properties and one primary residence makes for a very nice real estate portfolio. This approach does require moving about every year, however. But if you’re a 22-year-old just graduating from college, that means you will own 10 pieces of property by your early 30s. If a 15-year mortgage is obtained and paid off early, several could be owned free and clear. That would provide for a significant stream of income for the investor. From that flow of funds, more properties can be purchased, too, continuing into the future if you wanted to. There are other ways to increase the rental income, too. If a home has a basement, convert it into a separate rental unit. The same can be done with a garage, too. Make sure that it is legal to do so; and do it right, following all the applicable rules and regulation for the jurisdiction. In doing this, more rental income is produced from the property. Like anything in life, the more you get into real estate investing and the more experienced you become, the easier it will be in the future. After establishing yourself with a lender, financing for future buys will be much simpler. Real estate agents will also bring more deals your way when they are confident that you will buy. You will also find out that others want to invest with you after you have a profitable record in real estate. It will also become much less difficult to attract tenants through word-of-mouth from present or previous renters. You will also be able to determine which type of real estate investing you prefer, such as renting to students in a college town or leasing out rooms. No matter which type of real investing works out to be your favorite, now is the time to begin. It is much better to make a mortgage payment to the bank rather than send the rent check to a landlord. It is vital in all investing opportunities to acquire assets and hold on for the long-term. As history has proven, with real estate it can be especially rewarding to those who start at a young age. What are your thoughts about getting started with real estate early? 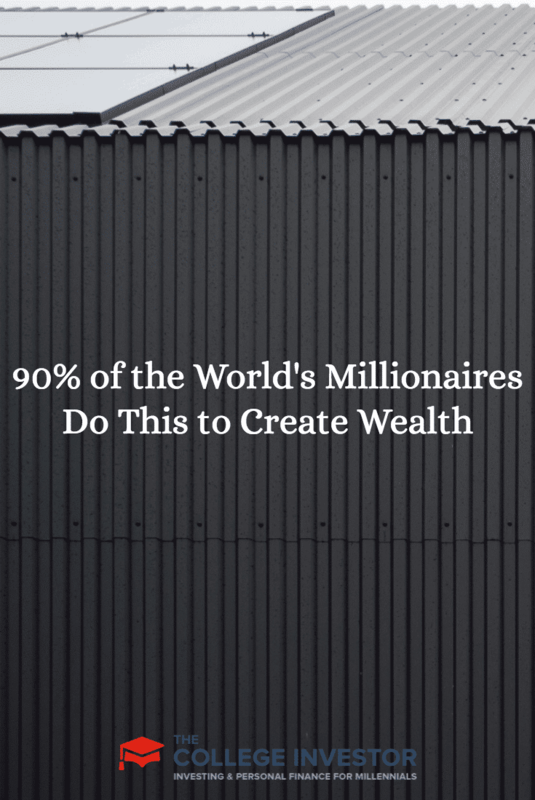 I find this hard to believe…”90% of the world’s millionaires have been created by real estate.” Can you please share your source? It was said by Andrew Carnegie at the turn of the century. (http://www.tnj.com/archives/2004/october/real-estate). It makes sense though if you consider that 1 in 300 Americans is a millionaire, and most make it from their home value. Same applies world wide. The Forbes Billionaire list is misleading, as most made it there through business (although some real estate), but they are the top 0.1%. That’s interesting. I was reading it as “investing in rentals” rather than including the homes they live in. I don’t usually include the equity in my home as I think it gives too many people an inflated sense of wealth. The thing about real estate investing is the incredible amount of leverage you get. By only putting down 20% your returns can be huge. Take into consideration that if the value of your home drops down, your loses will be substantially higher as well. This is called being “underwater” (where the value of your home is less than your mortgage). Do careful investigation and a lot of homework before buying a house, this could be one of your biggest assets, but can still be one of your biggest burdens. Let me know if you guys know on how to hedge the purchase of a home. Real estate scares me… Not sure I’ll do anything more then rent for many years to come. My friend got a 4 bedroom house and rented out 3 rooms to people from work. That was a great way to go for a new college grad. Now he has more properties and will be doing very well in 10 years or so. Something to consider. I’ve always wanted to invest in real estate or flip properties. However, I’ve seen people struggle to the point of losing their primary residence when they can’t get a renter in one of their properties. What do you suggest in this circumstance? Thats what happened to my cousin. He bought a home for himself and then bought a rental property. After the first year, he couldn’t find tenants and after about 6 months he lost his job and the bank forclosed both his properties. A lot of people go through this but you only hear about the success stories just like everything. Many have discovered that they can use a portion of their IRA and or old 401k to buy RE using a Truly Self Directed IRA with the same tax deferred benefits and savings. This way they do not write a check, need to qualify for a loan or make a monthly mortgage payment. Simply exchange paper for a tangible asset(Not a REIT). This way they are diversified.